A few months ago, Wes suggested I consider writing some “novellas” — shorter stories that we could offer readers in the interim period between novel releases. I wasn’t so sure that idea was a good one… until I started thinking about some of the stories that could be told. As we were reminiscing one day about the time that Wes ran our mommy van into a brick wall in Okinawa (or rather, brushed against it roughly), I thought about how many good stories we still have about Japan that didn’t get mentioned in Resolutions. Which got me to thinking about what happened in Okinawa in that book, which got me to imagining what might have happened after that, and, well, before I knew it, we were fast-forwarding to the future…. 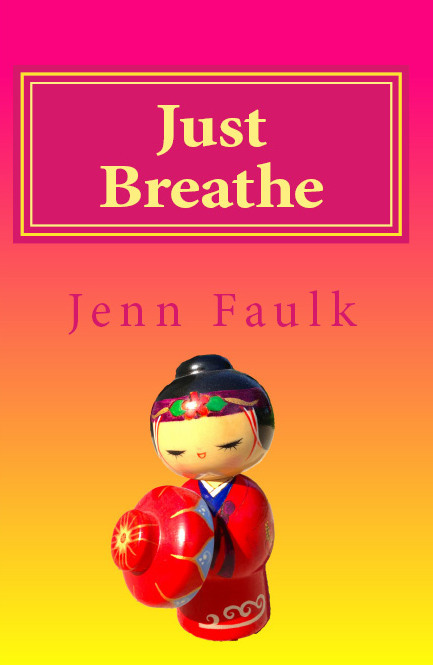 I’m so excited to tell you that Just Breathe, a novella set in Japan (with appearances by some Resolutions characters) will be available on Amazon Kindle for $.99 on MONDAY, AUGUST 5th! Yes, that soon. And, yes, that cheap! As my grandmother would say, you don’t even have to like love stories (or Japanese stories) to appreciate a good deal like that. But this story? You will LOVE it. Oh. My. Word. BE STILL MY OKINAWA-LOVING HEART.